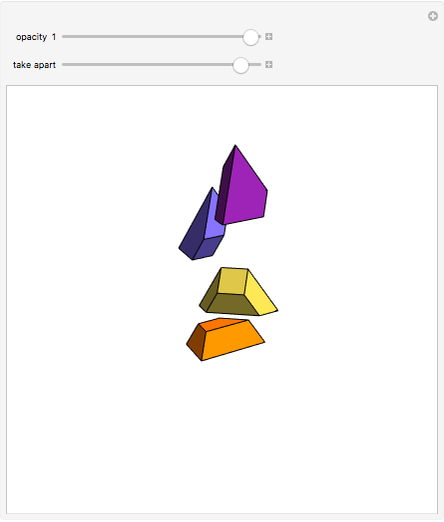 This Demonstration gives a decomposition of the tetrahedron into four congruent symmetrical parts. This decomposition is a puzzle by Binary Arts. 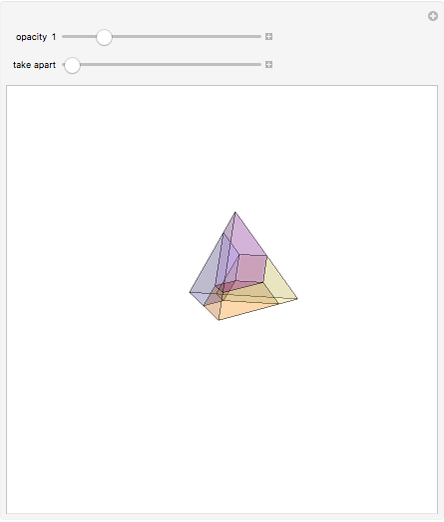 Izidor Hafner "Decomposition of the Tetrahedron into Four Congruent Symmetrical Parts"